Onbeperkt naar de film voor € 21,- per maand. Onder de 30 jaar? Dan betaal je maar € 17,50. You can use your Cineville Pass at WORM, as often as you like. For € 21 per month you get unlimited access to all our regular movies, premières and special programmes. And if you are under 30, it’s just € 17.50,- a month. 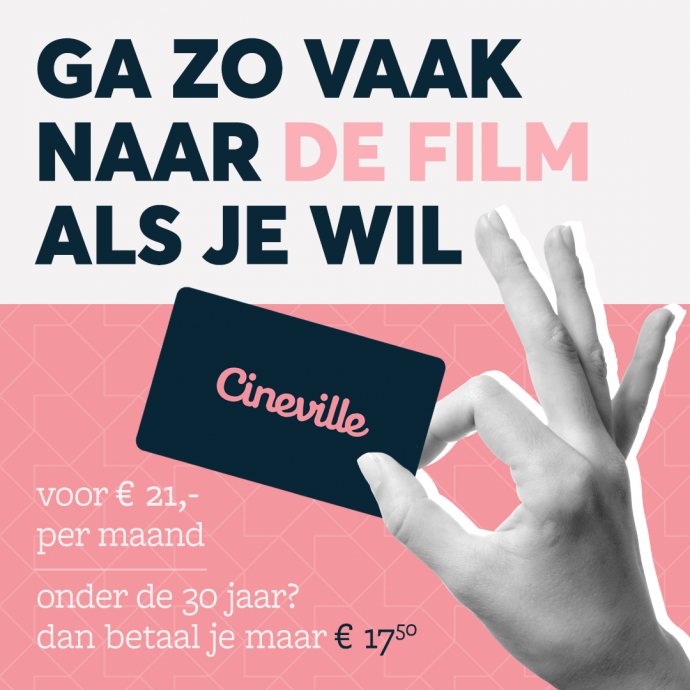 The Cineville Pass is valid in over 40 film theatres and cinemas throughout the Netherlands. Order the Cineville Pass through our website, and it will be immediately valid. This means you can go to the movies the same day.The pass is valid for 4 months. After which, you will need to review your pass every month. Check Cineville.nl to find the agenda of all affiliated film theatres, and see which festivals and live events are listed.